President Donald Trump's threat to impose punitive tariffs on imported vehicles and auto parts will cost American consumers $83 billion, warned representatives from the auto industry at a Congressional hearing. 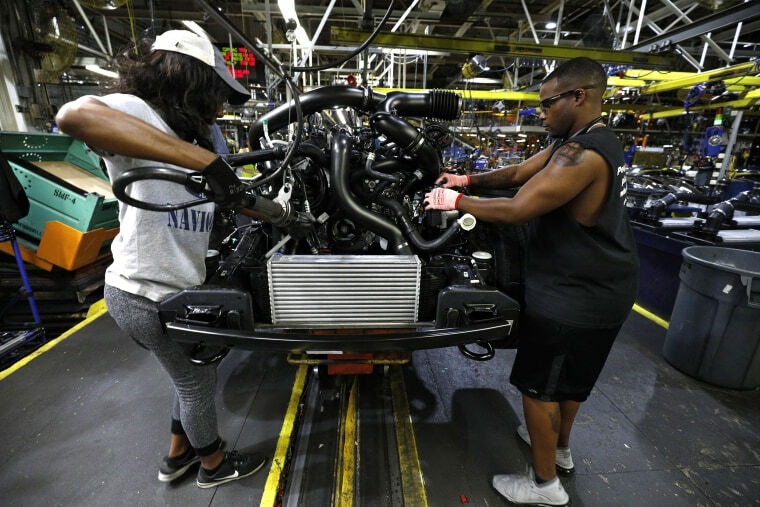 "Higher auto tariffs will harm American families and workers, along with the economy," said Jennifer Thomas, vice president of federal government affairs at the Alliance of Automobile Manufacturers. Thomas's comments come as the Commerce Department responded to an investigation that will determine justification for its plan to implement tariffs based on national security grounds. The notice of the investigation elicited nearly 2,300 comments from manufacturers and sellers of cars and car parts, automotive hobbyists and many average Americans, with much of the commentary criticizing protectionist sentiment and expressing concern that they would be the ones bearing the costs. The auto industry has already crunched those numbers: The AAM said a 25 percent tariff would make an imported car cost $6,000 more, and an American-made car $2,000 more. The National Automobile Dealers Association said auto tariffs could raise the average price of a car by $4,400 and eliminate more than 700,000 jobs. Peterson’s de Bolle said a great deal hangs in the balance for the hearings, which conclude Friday. “This can only escalate unless carmakers in the U.S. can come convince the administration that there’s no win here,” she said. “The parts and services my company manufactures in the U.S. and sells to our customers located in the U.S. are not a threat,” said Kirk Gadberry, president COO of Illinois-based North American Lighting. “I can’t possibly understand how an industry so vital to the strength of our nation’s economy can possibly be construed as a threat to our national security.” Gadberry said his company, which sells parts to many major auto manufacturers, makes its products in the United States but relies on imported components in some cases. Corporate pleas for the Commerce Department to reconsider its stance weren’t limited to the automotive sector. Other industries worried about the impact of retaliation on their business, as the European Union’s trade commissioner said on Thursday that Europe was preparing retaliatory measures if the U.S. moves ahead with these tariffs. Trade experts said that although the direct impact of import tariffs on the automotive sector would be substantial, those would be eclipsed by the economic ripple effects of retaliatory trade sanctions.